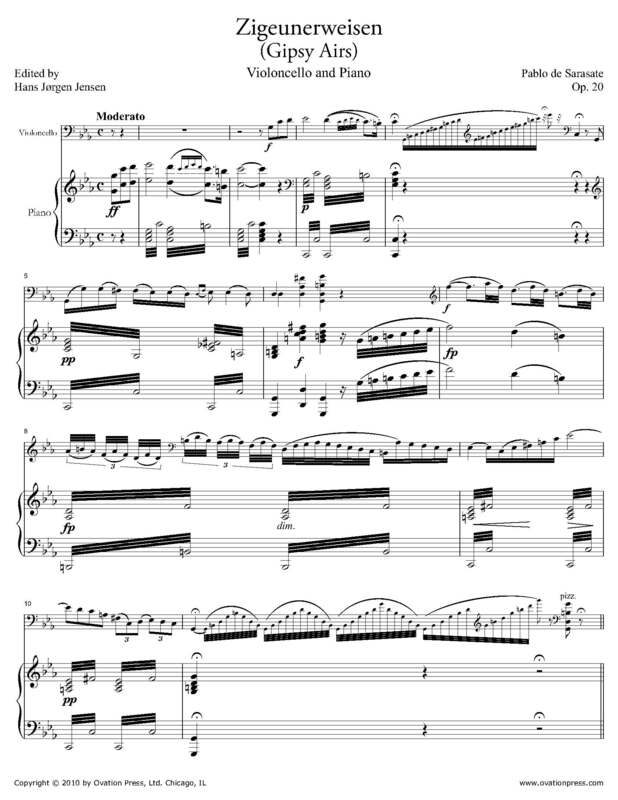 Originally composed in 1878 for violin and orchestra (or piano), this transcription of Sarasate's Zigeunerweisen for violoncello is very true to the original. Zigeunerweisen is a fantasy based on themes from the musical traditions of the Roma people, specifically the rhythms of the csárdás. Also check out Sarasate's Zigeunerweisen Transcribed for Cello and String Quintet or String Orchestra by Valter Dešpalj.